Pharmaceutical manufacturers in the Middle East-North Africa region get personalized service from CNC part manufacturer. Lebanon-based Phoenix Machinery sees potential in the Middle Eastern pharmaceutical and biotech industry, “one of the strongest emerging markets”1 in the sector and “a strong growth opportunity”2. 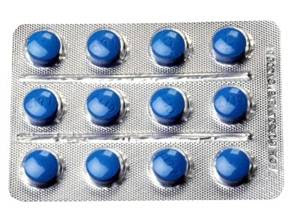 As manufacturers need suppliers capable of producing new and spare replacement parts for their pharmaceutical machinery, Phoenix Machinery’s strategy has been to concentrate on producing high-quality blister tooling for packaging pharmaceutical tablets and capsules. In addition, the company has adopted a personalized method to gain the trust of such major players in the region as Gulf Pharmaceutical Industries (Julphar) based in Ras El-Khaimah, UAE. Phoenix Machinery supplies a range of blister tooling parts for leading brands of intermittent and continuous rotary thermoforming machines, including Bosch (Servac and others), IMA, Klockner, Noak, Uhlmann and other brands. Blister tooling parts range from feeding channels, simtab, forming stations, guide tracks, sealing plates, transfer drums, perforating stations and cutting stations. Phoenix engineers tailor blister tools to customers’ specific needs, as identified in the company’s three-step personal approach to customer service. A sales engineer visits a prospective customer to assess the project, explore required tools and technical dimensions, and recommend solutions for machinery upgrade and productivity improvement.This first visit is crucial in building a connection with the customer and in determining exact requirements. A quotation is then sent along with a CAD-designed and engineered layout of the required blister. After the quotation has been approved, a technical engineer visits the company’s manufacturing plant and compiles a detailed report of the machine process, part design and detailed dimensions prior to production. A technical team installs the manufactured part on the customer’s machine to ensure satisfactory performance. Phoenix Machinery’s after-sales service guarantees quality and timeliness. “Through personal visits,” says Osta, “we strive to build long-term relationships with customers rather than focus on individual transactions. The focus on relationships creates mutual benefits for us and our customers." Interested parties may send detailed specifications and drawings for blister tooling to info@phoenixlb.com to launch the quotation process. Founded in 1998, Phoenix Machinery started as a machinery refurbishing center. Today, Phoenix Machinery operates four major production centers: CNC components center, asset recovery center, automation center, and new machinery center.